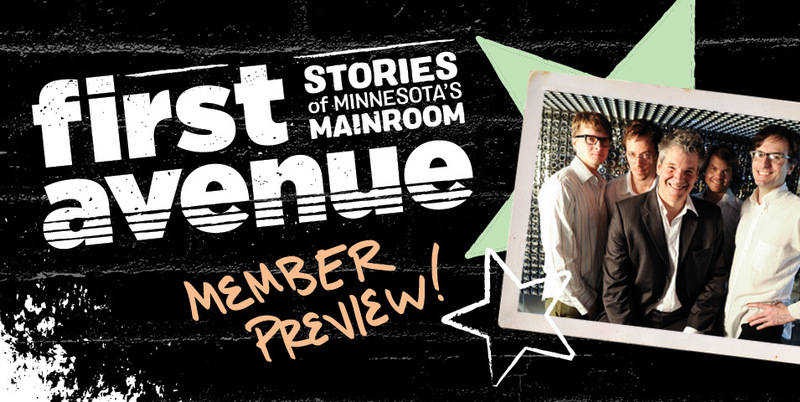 MNHS members can get an early peek at the "First Avenue: Stories of Minnesota's Mainroom" ahead of opening day. Explore the exhibit, enjoy live music by The Twilight Hours (featuring Matt Wilson and John Munson of Trip Shakespeare and Semisonic), and join activities like First Avenue button-making. Ticket price includes light snacks, one complimentary beer (including +1, Surly's First Avenue-themed golden ale), and one drink ticket for the main bar. Event beverages are sponsored by Surly Brewing Co. This exhibit is made possible by presenting sponsor, Baird. Media sponsorship provided by Star Tribune and The Current. Prices do not include tax or gratuity. Some menu exclusions apply. Ask server for details.